The Ritz Carlton, Charlotte in NC opened last October as the first LEED-built hotel in the area and now this summer they're taking their eco-conscious efforts even further by adding honeybees to the mix. 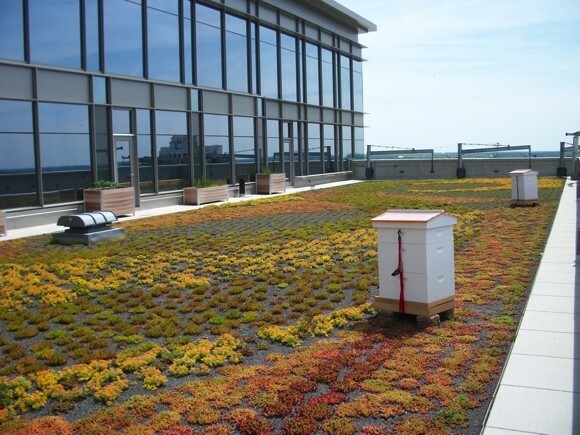 The Ritz already has a rooftop garden, put in place to both insulate the building and provide organic herbs for the kitchen, and this summer that garden will become home to as many as 60,000 honeybees in two fully-contained hives. "Honeybees love herbs, and we're hoping they will especially enjoy the fresh lavender growing within our rooftop garden," explained Jon Farace, executive chef for The Ritz-Carlton, Charlotte. "Because honey is considered the flavor of the land, it is likely that the bees' rooftop habitat and pollination of our herb garden will lend a wonderful, unique flavor to their honey." The hives will also benefit the surrounding city as the bees fly to nearby trees and hanging flowers. The hives, once they mature later this summer, are expected to produce up to 70 lbs of honey that will be used by the hotel restaurant in special honey-based menu items.